Fog hovered over the tops of the foothills of the Smoky Mountains. Clouds covered the sun, providing relief from the July heat. Life had been hard in the weeks leading up to that trip, and that very night (unbeknownst to us), we would come down with violent stomach bugs. 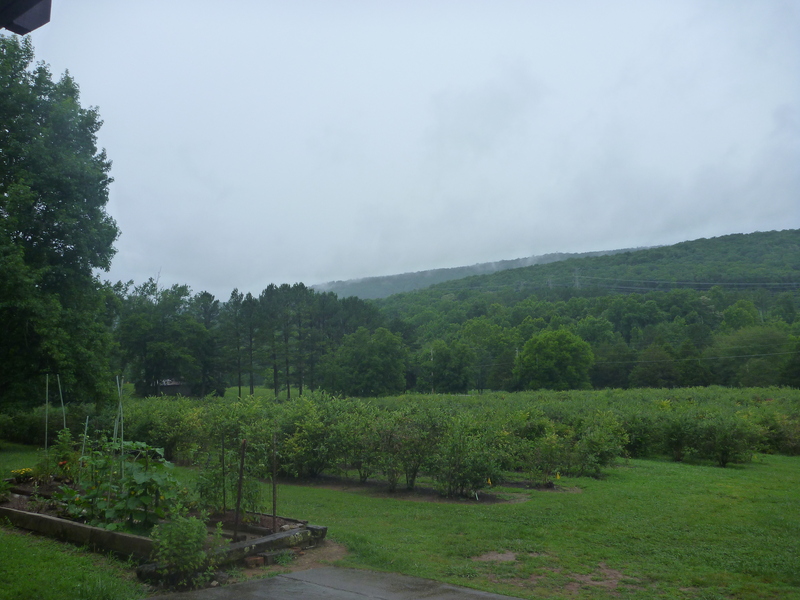 But on that misty morning at the blueberry farm, happiness settled on our shoulders. We felt it in the firm, plump berries. We tasted it with each sweet berry we gobbled. (The volunteers assured us they were grown organically. 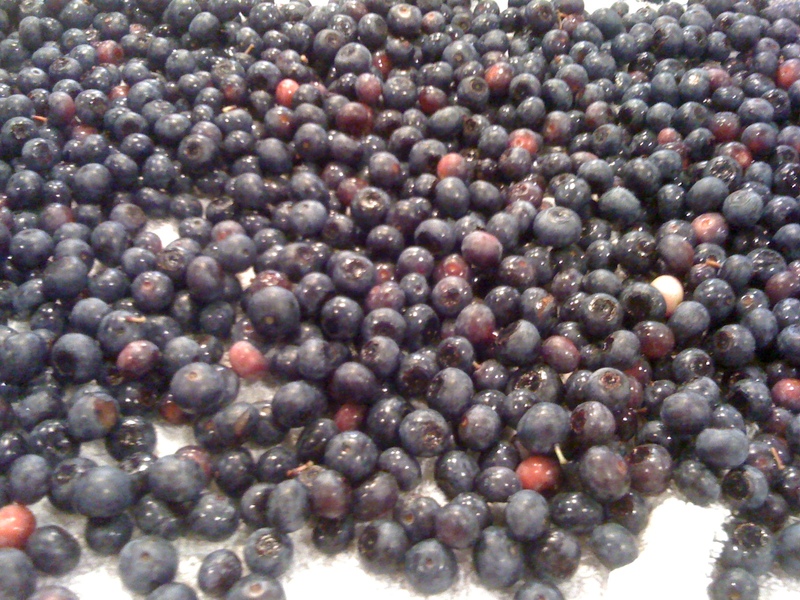 They also told us they wouldn’t charge us for any berries we ate while we picked!) We heard it in the birdsong and in the laughter that spilled over the rows. 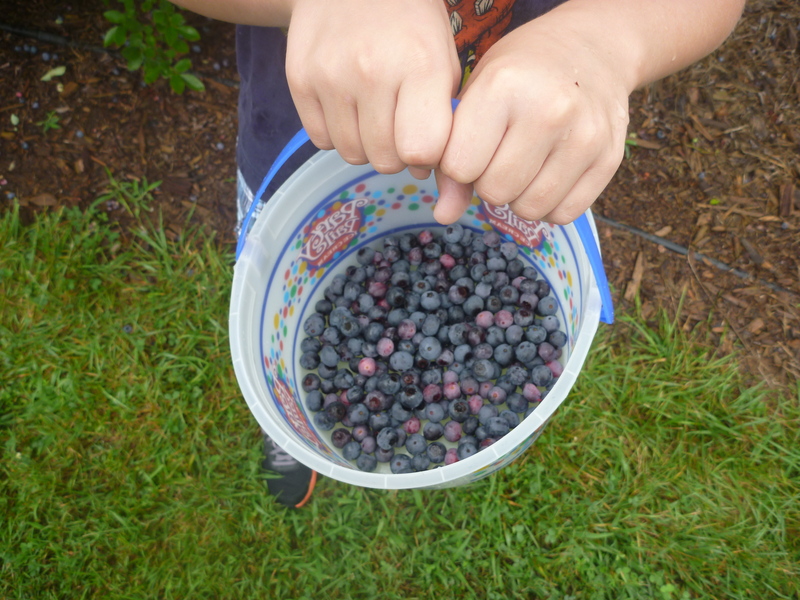 And we saw it all around us—mountains, little boy hands holding berry buckets, smiles from berry-picking strangers, blue and red fruit . . . . It was a home for my soul, a place where I could rest and focus on God’s goodness. My boys’ grandparents picked berries alongside them. My husband picked. Aunt Bee and Uncle J picked. Little One ran through the green paths the berry bushes made. We heard rumors that the elderly couple, whose house sat at the top of the hill, were thinking of selling the place. “Could we buy it?” I asked my husband, only half joking. I could see us being quite happy tending the berries, admiring the low mountains, and watching the people who drove out from the city to experience country joy. Fast forward one year, and I’m still living in the city. 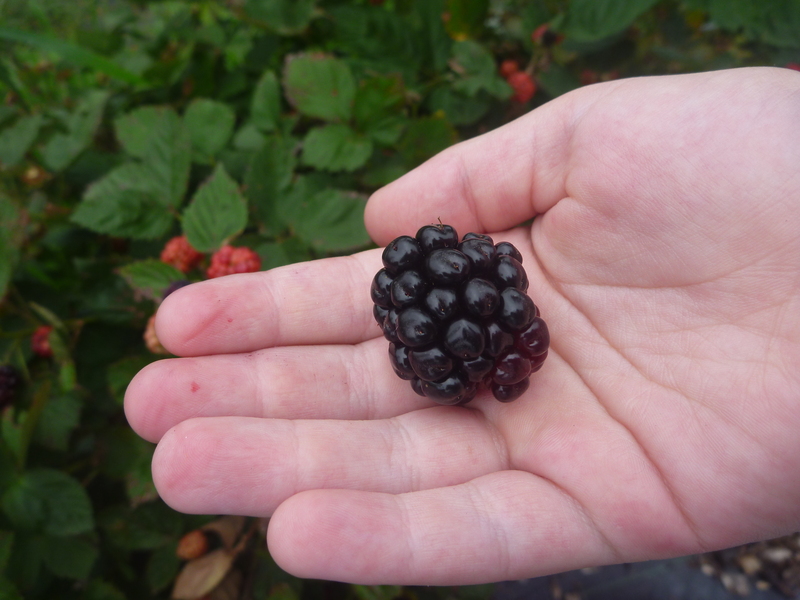 Thankfully, there is a berry patch about an hour from where we live. My friend, who grew up in the country, laughed at my excitement as we walked with our children toward the peach farm. “I read on the web site that they won’t let us pick the peaches ourselves, but they will let us pick the blackberries!” I said. My friend gave me a teasing, disenchanted look. She remembered blackberry picking as a chore bordering on punishment. She ended up being a great sport, though, showing us where to find the biggest, sweetest blackberries. 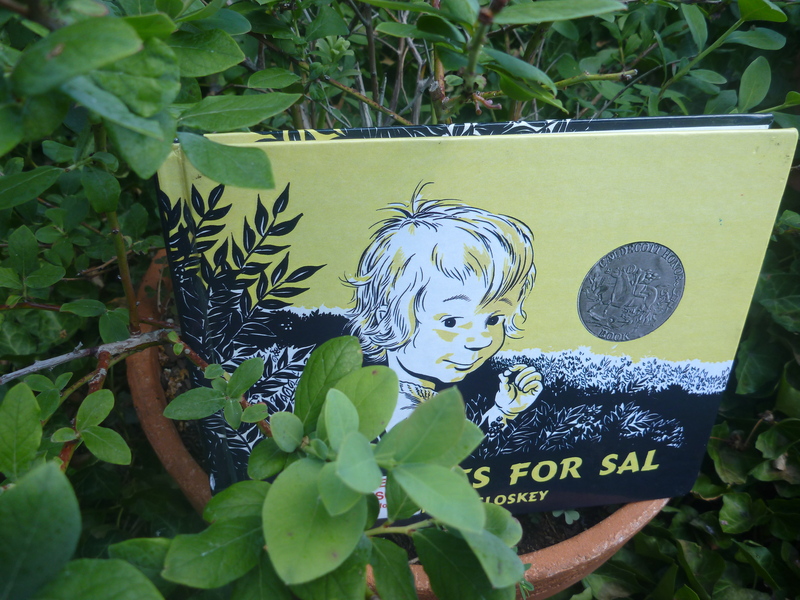 Blueberries for Sal by Robert McCloskey– What if you saw a bear while you were berry picking? This was a cozy read aloud with my boys when we returned from blackberry picking this year. Jamberry by Bruce Degen— The playful language and bright illustrations will make you want to rush–skipping and laughing–into the closest berry patch! 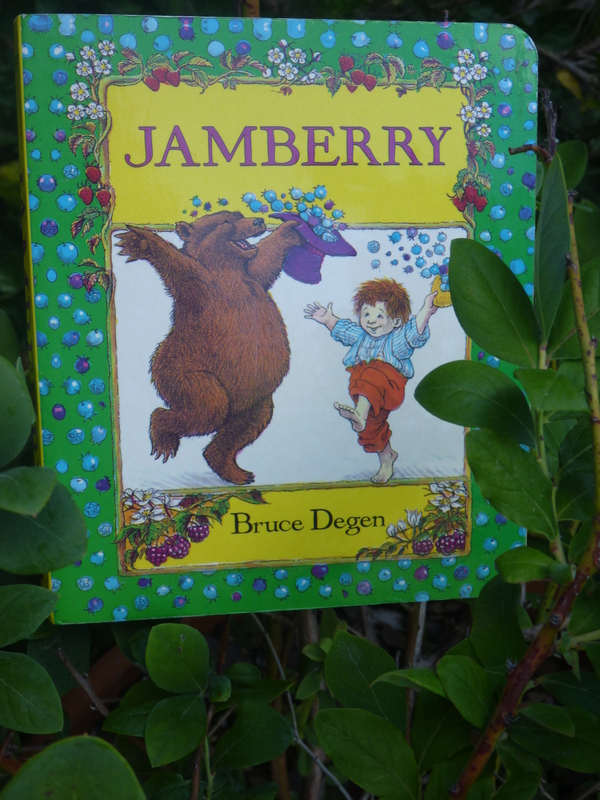 This entry was posted in Children's Book Moments, Treasured Books and tagged blackberry picking, Blueberries for Sal by Robert McCloskey, blueberry picking, children's books about berry picking, Jamberry by Bruce Degen. Bookmark the permalink. Loving the description of the look I gave you about picking blackberries 🙂 It was fun to watch y’all get so excited over it though!